Originally from Cape Town, Groove-pop outfit Red Tape Riot has been delivering fresh sounds for the past 5 years, and their local and international success is greatly due to the outstanding live performances they’ve consistently delivered. This world-class act is a result of an evolution of all the band members’ influences that range from the post-punk sounds of the 80’s, to the swagger of Arctic Monkeys and The Cure, including elements of Wombats, Two Door Cinema Club, Dire Straits, and many others. This culminates into an altogether unique foot-tapping contrast between heartfelt melodies and strong party grooves. The band embarked on a 3 month European tour in July of 2017, including a feature show at the 02 Academy Islington in August, as well as performances at iconic venues such as The Half Moon Putney, The Bedford, Dublin Castle, The Shed in Leicester and Finborough Arms. Due to their success in 2017, the band will be touring Germany and the UK again over summer 2018. Red Tape Riot has been earmarked as one of the most exciting additions to the music industry since forming in 2012. They have cemented a solid reputation and have created a loyal and steadily growing fan base. Recent live performance triumphs include playing on the Main Stage at the internationally acclaimed 25 000 person strong Rocking The Daisies music festival in Darling, Cape Town, along with stand-out performances at many other large scale National festivals such as The Wacky Wine Festival, Darling Brew Festival, National Coffee and Chocolate Festival, SA Bike Festival Johannesburg and East London, Electric Vines, and more. Since forming, the band has also embarked on numerous successful national tours, playing in the main cities of Johannesburg, Durban, Port Elizabeth, East London, Cape Town, and many other smaller towns up and down the country, further establishing themselves as a band to be reckoned with, nationally and internationally. Red Tape Riot’s debut single ‘Love Is a Feeling’ was released in South Africa on the 8th of August 2012, and along with the video, was play-listed on national TV and landed regular airplay on 10 of South Africa’s radio stations. Since then, Red Tape Riot has released 3 albums and 9 singles, with their latest track, You and Me going on to achieve a record-breaking 8 weeks at No.1 on national radio station 5FM. The song finished at No. 25 on the Top 100 songs of year chart. 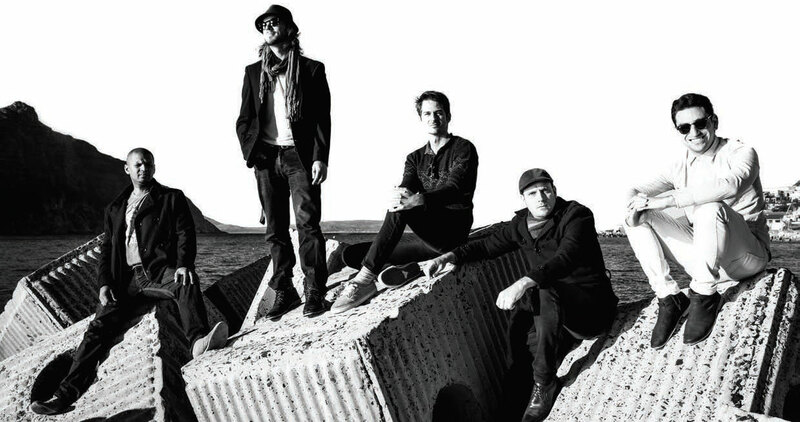 John Battersby (Vocals and guitar) and Rubin van der Rheede (Bass Guitar) are the founding members of the band and are joined by Justin Levitt (Lead Guitar), Marc Klein (Drums and Sampler) and Jared Phillips (Keys and Synths), each bringing their unique musical perspectives and energy to the outfit. “The essence of Red Tape Riot is the authentic energy that we bring to the stage, whether it be in front of 20 people or 20 Thousand people - a dream show is one where there are people who are singing the words back to you while you are playing. There is no better feeling of unity”, says John Battersby. In February of 2016 Red Tape Riot signed a management and booking deal with renowned agency Haven Music International (Just Jinjer, Monark, Jimmy Nevis) in order to take the music to new heights. Red Tape Riot released their latest album ‘Atmosphere’ which has been paving the way for the band to set off on new journeys in their music both locally and internationally.